Who needs a camp stove? Or a grill? Not us! This week we learned how to cook with nothing but wood and our fire kits! In this class, Jen taught us how to cook on a fire, using lightweight ingredients that we could easily fit into a backpack. We learned how to make oatmeal, survival stew, chicken rice, and even pancakes and “brownie scramble”! And the best part is: we can take these recipes, assemble ingredients, and take them with us on long backpacking trips. They’re perfect for when you’re spending a long time in the woods! We also learned several useful knots, and we learned how to set up a tarp shelter effectively. 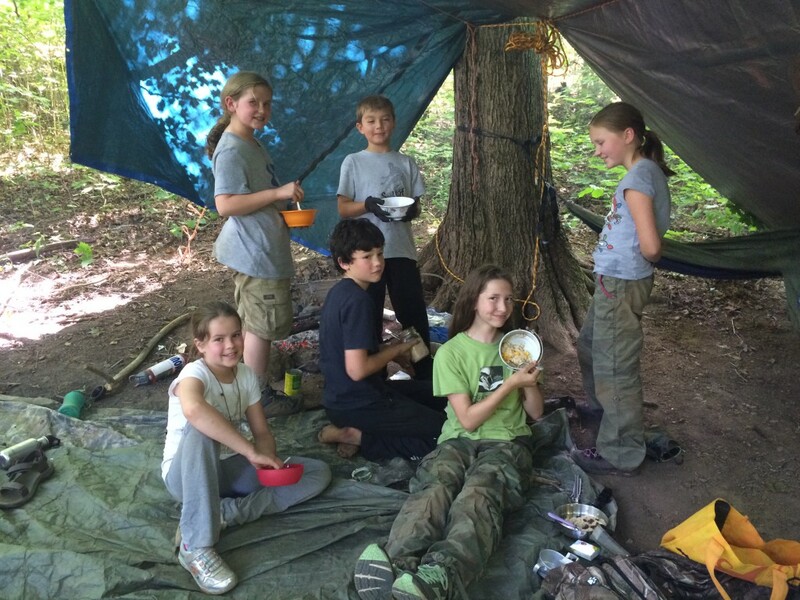 We learned how to put a fire flap in our tarp shelters, so we can cook our food reliably even when it rains. We learned or improved on how to build, light, and sustain a fire. And we learned how to use water-soaked logs to hold up a pot for boiling water. Finally, we had a great time putting up our first Mountain SOL hammocks! 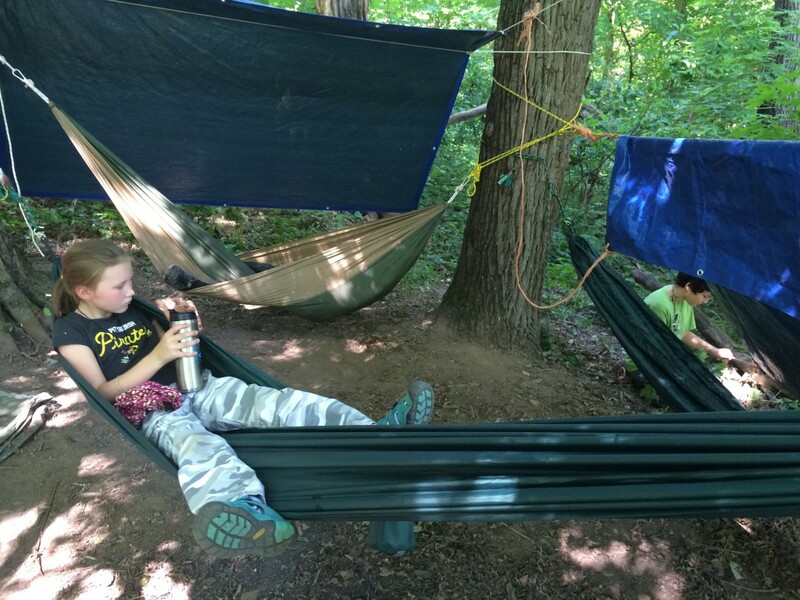 Hammocktopia is up at Scout Camp; I highly recommend checking it out!